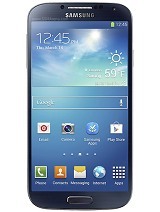 Samsung recently started rolling out its latest official firmware update for the Galaxy S4 with model number GT-I9500 in several countries. Most of these firmware updates come with security fixes and feature enhancements, while some offer bug-fixes and performance improvements over its previous iteration. The Galaxy S4 I9500 users in Southeast Asia can now download and install the latest official Jelly Bean firmware, Android 4.2.2 XXUAMDE, through Samsung KIES as well as via Over-The-Air (OTA) update. The Galaxy S4 users who missed the OTA update notification and those who are residing outside the supported countries can manually download and install the same using our step-by-step guide given below. 2) Enable USB Debugging Mode. 4) The Galaxy S4 should be factory unlocked and not locked to any particular carrier. 6) The Android 4.2.2 XXUAMDE Jelly Bean firmware is compatible only with Samsung Galaxy S4 I9500 and installing this on any incorrect variant will brick the device. Therefore, verify the model number of the Galaxy S4 by navigating to Settings >> About Phone. Note: Ignore the steps b, c and d in case such files are not found. Samsung Galaxy S4 I9500 should be now updated with official Android 4.2.2 XXUAMDE Jelly Bean. Head over to Settings >> About Phone to verify the software version running on the device. Click here to know How to Root Galaxy S4 I9500 running on Android 4.2.2 XXUAMDE Jelly Bean firmware.